Royal Tunbridge Wells and many more. Harlequin Fun Casino are based on the border between East Sussex and West Sussex, so we’re ideally situated to host fun casino parties in Kent. If you’re in need of a fun casino for your Wedding, party or corporate event, call us or drop us an email today telling us a bit about what you’re planning. We’ll be able to answer any pressing questions you may have, and help you to organise and plan your event. 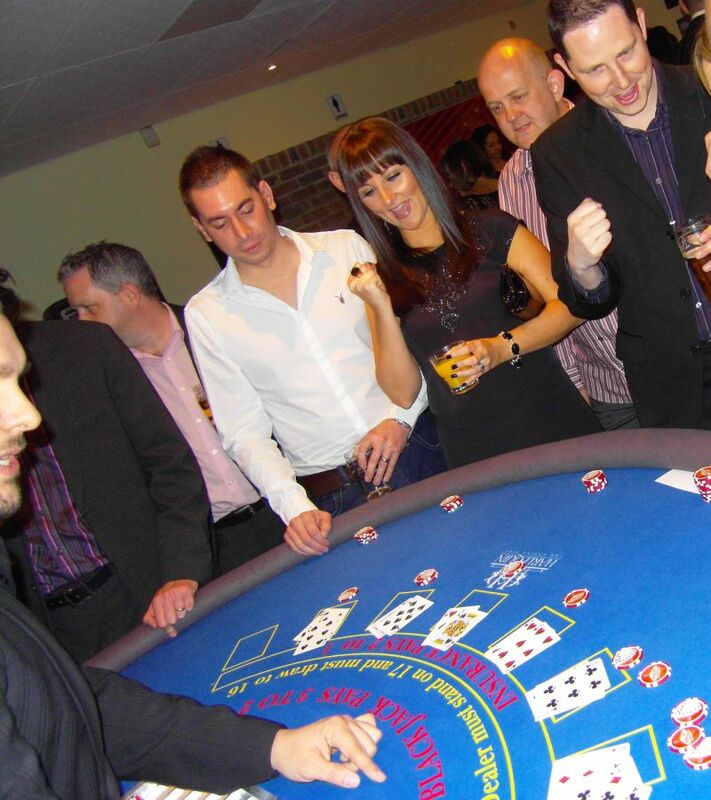 A fun casino party is the ultimate night out, and your guests will be talking about it for years to come! It’s a really unique form of entertainment with all the buzz and atmosphere of a bustling Las Vegas Casino without the empty wallet at the end of the night! At a fun casino, we play for fun money, so there’s no need to worry about getting a licence to hire a party casino, it’s just for fun! A fun casino works just like a real casino, with full size roulette tables, blackjack tables and poker tables. Harlequin fun casino hire uses real Las Vegas poker chips, cards and deck shoes, the only difference with a fun casino to a real casino, is that no real money changes hands. The guests at a fun casino play for Harlequin Dollars, fun money which is exchanged at the fun casino tables for casino chips which can be used in play. The players play for fun and are often awarded prizes towards the end of the fun casino night.